Blue Valentine. A smooth bright blue based pink with opalescent tones. Manic Panic Lipstick has a unique formula, which ensures that it lasts long without losing any of its color intensity. This Manic Panic Killer Lipstick has a very distinct color and shade. 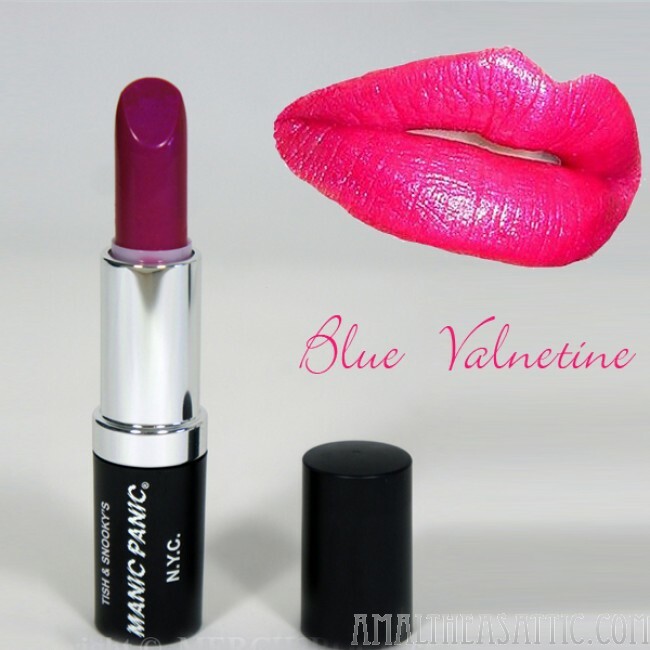 This Manic Panic goth-themed lipstick is ideal for one who wishes to stand apart. This Manic Panic Killer Lipstick caters to every individual taste and preference. 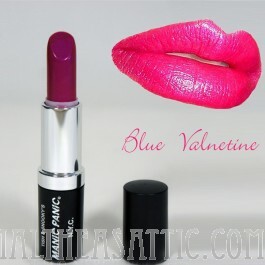 Manic Panic Lipstick has a nice texture that makes it easy and smooth to apply. This Manic Panic goth-themed lipstick provides adequate coverage in all conditions.